If 1 is subtracted from the first digit in each number and '1' is added to the second digit in each number, then which of the following will be the third digit of the second highest number? Which of the following font style is not applied in the given text in MS-Word 2010? Many kings and prince took part in the 4th battle. It could be c and d.
In the given question, two rows of numbers are given. The resultant number in each row is to be worked out separately based on the following rules and the question below the rows of numbers is to be answered. The operation on numbers progress from left to right. (iii) If an even number is followed by a number which is a perfect square, the even number is to be subtracted from the perfect square. If d is the resultant of the first row, then what will be the resultant of the second row? Which of the following extensions is used to save images from internet? You cannot connect to internet through _______. The pictures are not visible. Last 2 pics are not visible. How will the child answer without looking at the options. What result will be displayed in the active cell shown in the given snapshot of a worksheet in figure:, if it contains the following formula in MS-Excel 2010? 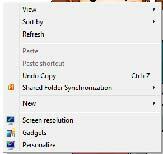 Which of the following options is NOT available, when you click on the arrow button of 'Sort by' option, in context menu of Windows 7? Which of the following statements is incorrect about first generation computers? AThey were prone to frequent hardware failures because they used thousands of vacuum tubes. BThey were bulky in size and highly unreliable. CThey were based on stored program concept. DCRAY-1, CRAY-2 and CRAY-X/MP are the examples of first generation computers. The given options are found under _____ tab in MS-Word 2010. These options are found under the insert tab. Hence, the correct answer is B.